We are a grassroots effort dedicated to developing a county-wide initiative that will foster meaningful and effective conversations about end-of-life care. Emphasize the importance of having honest conversations with family members and other involved caregivers. Encourage the completion of advance care planning documents. Offer presentations to groups such as service organizations and clubs, faith communities, health care providers, continuing education programs and senior living communities. Train volunteer presenters and facilitators to work with individuals and families who request support with advance care planning and family conversations. Develop a model project that can be replicated by other communities. This project is about more than putting things on paper. It’s about making sure that what you consider quality of life is well understood by the people who, when the time comes, will be helping you with your end-of-life care, your desires, and your legacy. Personal family experiences with my parents and grandparents and a four-decade-long career as a bedside nurse and an administrator in oncology, hospice and intensive care has given me an appreciation for the complexities of end-of-life decision-making. As a 24-year-old nurse working in my hometown hospital in Wisconsin, I had just finished helping to bathe my 94-year-old great grandmother when she died. I calmly walked to the desk and told the physician sitting there what had happened. He said, “Shouldn’t we try to resuscitate her?” To which I responded, “Heavens…NO”. There was no DNR order in place. Today, she would have been subjected to a CPR attempt. Instead, I went back in and sat with her body until other family members arrived. I was 8 months pregnant at the time, and a few days earlier, she had pointed out to her doctor that I was carrying her first great-grandchild. We didn’t talk about it directly but she knew that she would not live to see the child born. Had she been subjected to CPR, I would have regretted not talking directly about her wishes. Serving as an ethics consultant at Boulder Community Hospital has allowed me to be with patients, family members and members of the care team when the decisions being made are difficult. Many factors play into a challenging situation, including a complex medical picture with an unclear outcome, family dynamics and a patient who has not written or spoken about his or her wishes and is now unable to communicate. My husband and I wish to avoid being the subject of an ethics consult. We have created MDPOA (Medical Durable Power of Attorney) documents and, using the Starter Kit this past Thanksgiving, we have had a family conversation, attended by his adult son and daughter and my two daughters. It is our hope to lighten the inherent burden of decision-making. 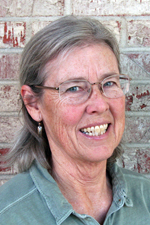 Constance Holden, RN, MSN is recently retired from Boulder Community Hospital. 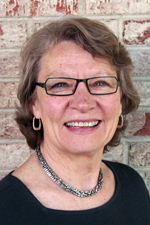 She served as the Executive Director of Hospice of Boulder County (now known as TRU Community Care) from 1994-2001. During her career she worked at six hospitals and four hospice programs in three states. My family and I have lived in Boulder since 1975. I have worked in various Emergency Departments in Boulder County, but have been an Emergency Medicine physician and faculty member at the CU Health Sciences Center for the past 28 years. For the past 20 years, I have been a member and the lead ethics consultant for the Ethics Committee at University of Colorado Hospital, as well as a community member of the Boulder Community Hospital ethics committee. My passion is not only being with families, but also teaching health professional students and resident physicians that part of good health care is listening, being empathetic, staying curious and being humble about what they can offer families at these critical turns in their life stories. Dying is a part of life for all of us, and one that we need to become more comfortable sharing with each other. In my roles as physician, ethics consultant, teacher and daughter, I have shared in the distress it causes families and medical providers when people haven’t made their wishes and values clear. For some people, dying is best on machines, for others it is in a home or hospice setting. Some choose to embrace, and some to refrain from, medical technology as death approaches — expectedly or without warning. For me, the exciting part of The Conversation Project is the way it encourages people to talk before they face critical and urgent choices of the Emergency Department or the ICU. More than deciding about procedures and technicalities, the project is about talking — sharing values, fears, and what is important. It is a way to nurture community and family. I, too, come to this project with personal stories of good and of difficult deaths in my family. In my family, we have used the Starter Kit to nurture talk about subjects that we used to avoid as too difficult or “asking for trouble.” The Conversation Project is a wonderful way for me to give back to the community and encourage people to have this important chance to share and honor each other.